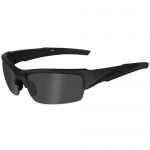 Wiley X Sunglasses take eye protection to a new level by combining industrial and military grade impact protection with modern, good looking designs. 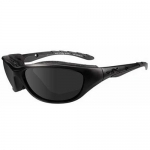 Wiley X Sunglasses are designed from the ground up to meet the rigorous demands of adventurists, motorcycle enthusiasts, military and law enforcement personnel and sport professionals. 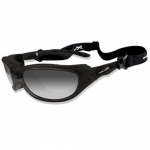 In fact, most Wiley X Sunglasses are ANSI Z87.1-2010 certified, more than any other premium eyewear brand! This amazing protection is provided by combining extremely tough Selenite polycarbonate lenses with durable Grilamid TR-90 frames. This combination of frame and lens technology provides 100% UV protection and far exceeds ANSI Z87+ impact and optical standards. 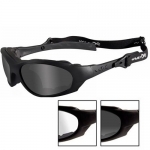 Now add in patented foam “gaskets” that help block out wind, dust and flying debris and you can see why Wiley X Sunglasses are known for their "no compromises" reputation. 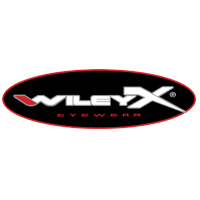 So if you’re looking for sunglasses that are as tough as you are and can keep up with your active lifestyle, then look no further than Wiley X.